Have you ever combined two random flavors and got a completely unexpected distinct taste? 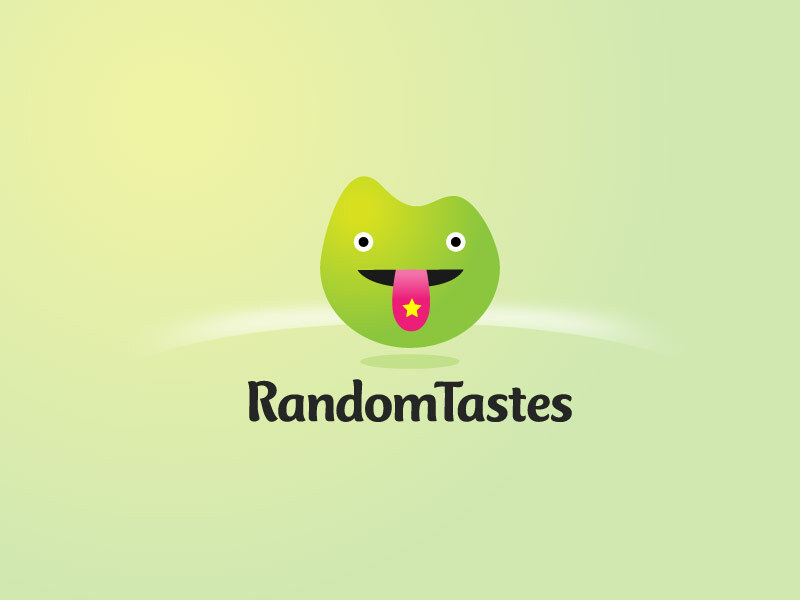 That’s the premise behind RandomTastes. 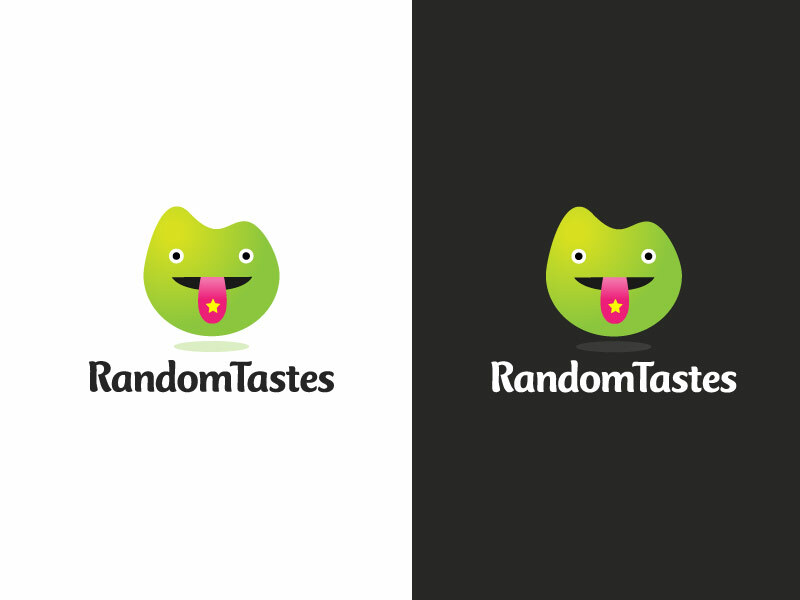 Random Tastes is simple. Tweet two combos that when combined, have an all new taste. Using a handy service called Twessage, my friend Dan Bair integrated this nifty tool into the site. Once the site was complete in terms of functionality, Dan turned to me for branding and website design. 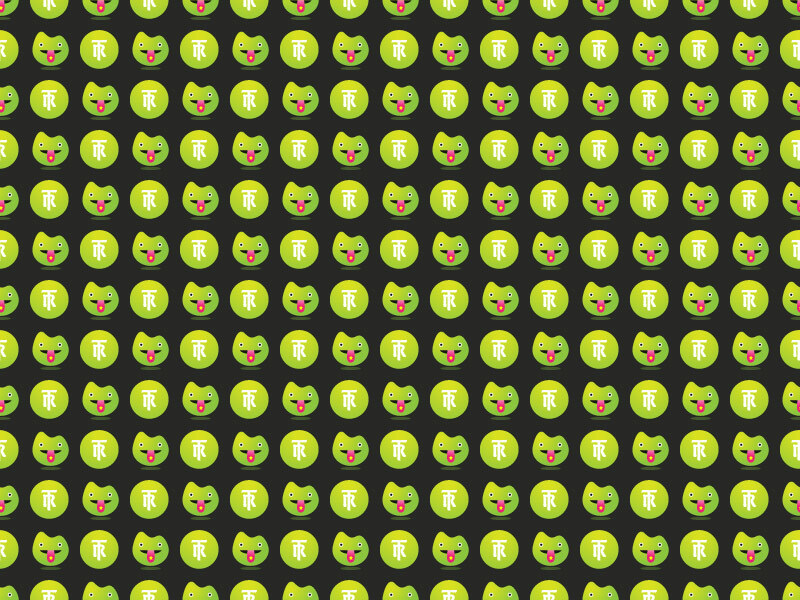 I started off with the colors, and moved into the logo shortly after. For the logo words, I used Cronos Pro and then modified some of the letterforms after heavy kerning. 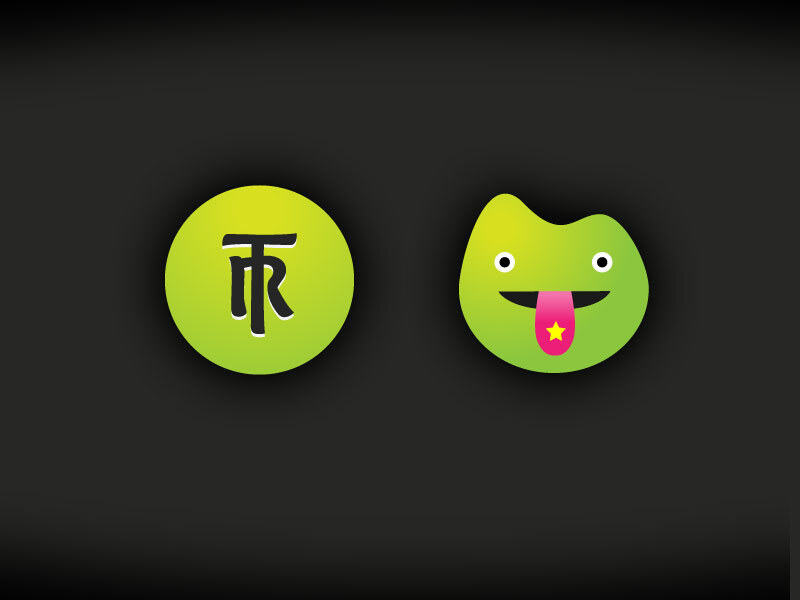 The mascot “blob” was created afterwords and I then made variations in background applications. The simplicity and pure colors make a wonderful aesthetic that is friendly and easily brand-able. The website was quite simple, but I wanted it to be unique and friendly. It was really only two pages, which had minimal content. The design informed the layout so getting a design prepped was very easy. Overall this was a great project and a ton of fun to work. 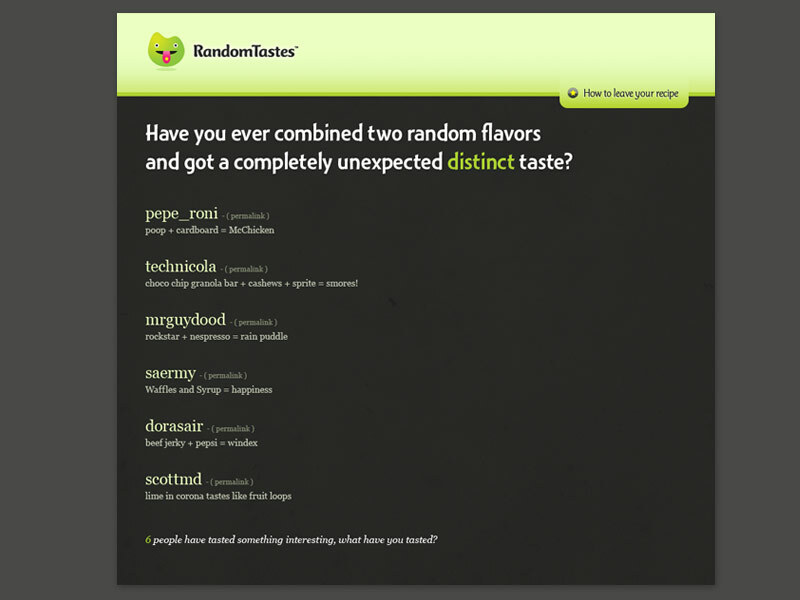 Why don’t you send your own combinations over at www.randomtastes.com!